This is one of the most polarising topics amongst travellers. Let’s dispel the most common 5 myths and judgements about organised tours. and you have time to invest in sourcing all of your travel requirements, then organised multi day tours can be more expensive. ensure your safety – all tour operators have crisis management plans and teams that deal with emergencies. Do you have a crisis management plan when you travel?? Most of us don’t because we just think everything will be fine. How many stories have you heard about travellers booking activities with local operators and ending up in series trouble? Not all countries have the same safety standards and there are lots of unscrupulous local operators who view any kind of tourist as a walking ATM. Ensure that their vehicles are well maintained, not overcrowded and don’t drive in dangerous situations, unlike local transport in some destinations. Make sure you choose your tour operator carefully, price shouldn’t be the deciding factor, no matter how tempting it may be to save a few dollars. Reliable transport can make or break your trip and shape your memories. It may be fun to sit on the side of the road during the day when the views and weather are lovely, what about when the weather is horrid, you’re in the middle of nowhere and no one speaks your language? When we went to Borobudur in Yogyakarta, we booked a driver through the hotel for a half day sightseeing tour on our way to the airport, he was a lovely driver, but did not speak English. He was able to take us to interesting locations, but not give us any useful information. He was the best driver that the hotel, which was only one onsite at Borobudur, could provide for us. We felt that we didn’t get a great overview of that city and won't make the effort to go there again. Some cities are a one shot deal because you are only interested in a specific site. When you sit down to plan your own trip, don’t forget to take the amount of time you spend into account plus the amount of time you spend on your trip thinking about the logistics. It can add up to more than you realise. I spent 3 months finalising a Vietnam itinerary. That’s how long it can take to vet the tour operators, email your itinerary backwards and forwards, make changes, ensure those changes are correct and make sure that your flights, transfers and accommodation all synch up. Great trip, lots of hassle and responsibility to get it all right and make sure we were getting what we paid for. An organised tour allows you to accurately work out your travel budget as all of your basics are covered. Travellers come in all sizes, ages, needs and budgets and so do organised tours. When choosing a tour, it’s important to READ THE ITINERARY CAREFULLY, which unfortunately does not always happen and that’s when the mismatch between your travel style and the organised tour itinerary occurs. When planning your travels, ask questions. Your travel agent will answer your questions, they can’t guess what information you actually need to make an informed decision. If you are booking a tour directly, ask as many questions as you need to before you pay for the tour. Tour operators create tour itineraries to match different types of travellers. Believe it or not, some travellers love a hectic pace and start to get bored if they are in one place too long. They also like to get up early and get the day started! I personally don’t get that, but hey, each to their own and there is no need to judge anyone’s travel style. How many tour operators and organised itineraries are available at the moment? Thousands and tens of thousands is the current answer. This means that you can find an itinerary that matches exactly or very closely what you want in your next travel experience. Tour operators cater for niche travel styles and interests, you can choose to organised tours by adventure, festival, food, small group, marine/cruise, rail or local living themes. Age isn’t always an indicator of the experience you will have on tour, I went on a tour in Sri Lanka with a group of 15 people whose ages ranged from 27 to 71. We had a great time together because we were all adventurous travellers, age wasn’t a factor at all. There is flexibility around activities in tour itineraries as tour operators understand that not everyone will want to participate or be interested in that particular activity. This does have limitations though. Do not go on a budget outback camping tour if you hate camping, do not want to cook your own food and drive long distances in rough terrain vehicles. Use your common sense and knowledge about yourself before you make a decision based on price or convenience. A poorly chosen tour will have a negative impact on your overall holiday experience, it will also impact on the tour guide because they will have to listen to your complaints and then try to address them, this also means that the rest of the group is not getting the experience they have also paid for. I personally am over bike riding while on tour, I always ask about alternate options to that activity when I book a tour. 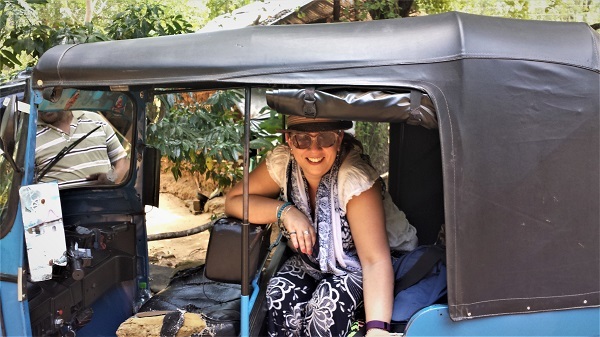 In Sri Lanka, I followed the group in a tuk-tuk, I took lots of lovely photos while they huffed and puffed their way through the heat and terrain. Most of them enjoyed the challenge, I enjoyed my view of the countryside. Hey, guess what? As soon as you leave your home town, you are a tourist! I really struggle with the disdain that has been attached to “being a tourist”. A traveller and a tourist are the same thing -visitors in another town, country and culture. What is important is how you conduct yourself and the respect you show, not the label you place on your style of travel. We all travel to see and experience different cultures, monuments and rituals. As travellers, we are now blessed by the sheer amount of unique experiences that tour operators are able to deliver. For travellers who are short on time, have a certain amount of funds for travel or can only make the trip to that destination once, then seeing as many landmarks as possible is what they want to do. Again, don’t judge another travellers choices. We have all grown up with images of particular destinations that spark our wanderlust and sit at the top of our bucket list. When there are now over 1 billion people travelling with bucket list destinations in mind, you will battle crowds whether you travel in a group or independently. Quite often, a tour operator will be able to move you away from the mass of independent tourists and provide an experience that will stay with you forever. Tour operators work with smaller local tour operators to include special experiences for their groups that may not be possible if you travel independently. 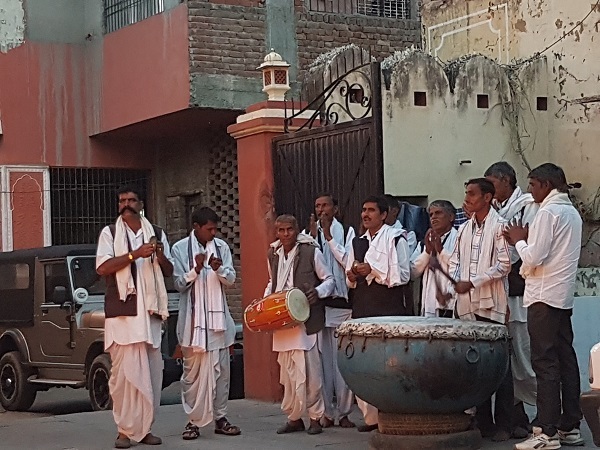 We travelled to India on a Holi Festival tour, our guide was based in Jaipur and we were given the opportunity to celebrate this festival with him and his family in their 400 year old haveli (Indian town house with a courtyard, multiple generations usually live together). We were invited to participate and witness the rituals leading up to Holi which included a performance by musicians from their village, bonfire ceremony and of course throwing lots of beautifully scented coloured powder at each other. This family embraced us warmly and gleefully rubbed that coloured powder in my face, hair and down the back of my neck. This was an experience we would not have been able to have if we had been travelling independently and it is one we will never forget. There’s a current groundswell in many tourist hotspots where the locals feel that tourism is impeding on their way of life, standard of living and culture. This is an issue with the regulation of tourism by local governments, not solely because group travel arranged by tour operators. I visited the Taj Mahal in March 2017, it was packed and guess what, mainly with local tourists because it’s a site that is part of their cultural mythology, is beautiful and they also want to see it. Many tour operators work very closely with local suppliers to source unique experiences that take travellers off the beaten path. This is just a small sample of unique tours that are definitely not touristy and experiences that you could not arrange as an independent traveller. You will hands down meet locals and get local knowledge on an organised tour. Your guides and drivers are all locals who know the destination inside out and can give you great tips about where to eat, shop and visit. It is true that not all guides are equal in the sharing of information, but neither are locals. We have had many occasions where locals have steered us in the wrong direction because of a language barrier. I always do single day food tours in a new destination and have not had a bad experience yet with either the food or the guide. All of the guides have been locals who are passionate about sharing their hometown with visitors. The benefit of being with a local tour guide is being able to walk through neighbourhoods and eat in cafes that are off the beaten path, but you are also safe. If you want to enter a temple, mosque or building, your guide will advise you of the correct etiquette. While you may want to experience local culture, you need to be mindful about how you insert yourself into that culture. Local customs and etiquette are very important to adhere to and it can be very easy to make a faux pas if you are not aware. 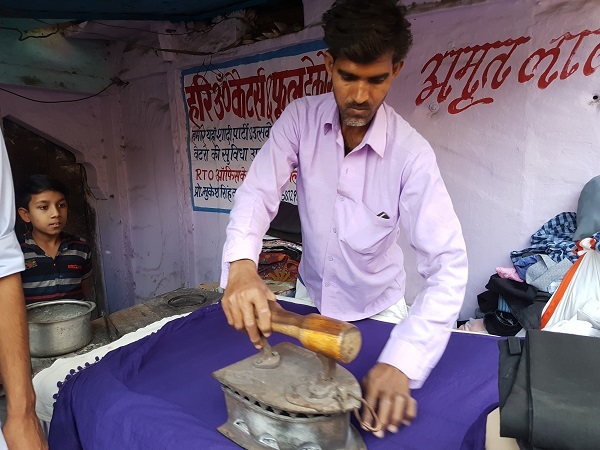 When we were in rural India, a local who had been running a street laundry for over 25 years offered to iron my scarf to demonstrate how dedicated he was to his work. I hesitated to give it to him as we needed to move on, but our guide encouraged me to allow him to do it and that the group would wait. It was important for this man to do this and to be appreciated for his skill, he did not want payment, just appreciation. It would have been very easy for me to offend this lovely man if I did not understand his intent. In regards to living with the locals as an independent traveller, this can pose a few problems for the community. Private accommodation rentals to tourists in popular destinations is starting to put accommodation out of the reach of the locals you want to live with. This means that they can only find affordable accommodation further away from their jobs and support networks. When locals move away, local businesses suffer. To counteract that, they change their model of business and start catering for the tourists who are flooding the area, then tourists start sharing their photos and experiences on social media and voila, another tourist destination is born. I’ve heard this one quite a few times and don’t understand why we feel the need to judge each other’s travel style. Here's the lowdown on group sizes and travel styles. 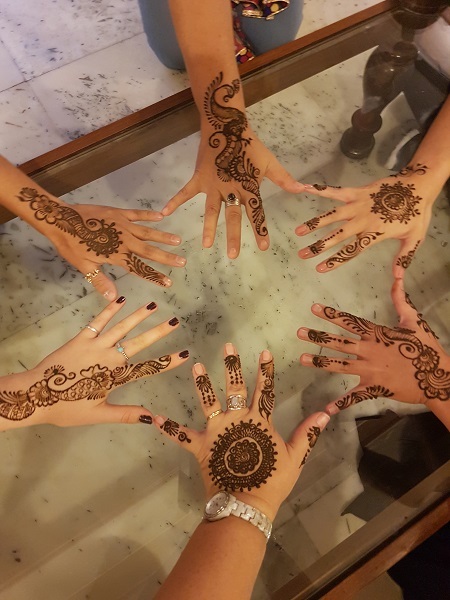 Travelling is about exploring, learning about other cultures and expanding as a person and sometimes there are activities that are more fun to do with likeminded people than on your own. Treks to Machu Pichu or Annapurna are not lazy activities, need to be done in a group of some sort and need to organised for you. You can’t just turn up and start walking. The companionship and comradeship in urging each other on and sharing experiences and amazing views on these tours become memories and bonds that stay intact forever, even if you don’t see those people again. You will always know that there are other people on the planet who are carrying very similar memories and thinking about the time they did that trip. Organised tours give you a pack to travel with which can mean the difference between staying in your hotel room at night or dancing the night away in a club. You also have stories to share with fellow travellers because no one at home will understand the context of your fabulous night out in Buenos Aires if they weren’t there with you. You may also never visit a destination if you limit yourself to waiting for a friend to travel with you because you wouldn’t be caught dead on an organised tour with a bunch of strangers. 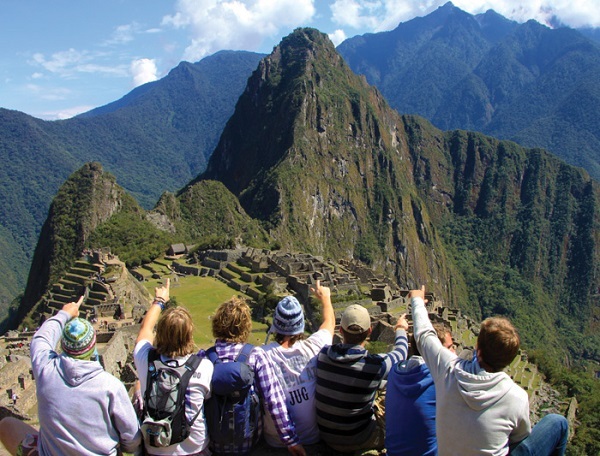 What’s better – never visiting a destination or going with a group of like-minded people?? As a tourist, you always need to be aware of your safety and a group and tour leader can provide that for you. All of your details are registered with the tour operator, the guide has emergency contact details and the lines of communication are always open. Can the same be said if you are travelling on your own and relying on WIFI to stay in touch with friends and family? Are organised group tours for everyone? Of course not! There isn’t a one size fits all anything in this world. We are all unique and our choices reflect that. Organised tours are great for ages and stages, the people who haven’t enjoyed the tour they have been on may not have chosen the right one or been in the right stage to enjoy it. This should not determine for you whether you travel on one. My travels are a mixture of group and independent travel, it’s determined by destination, the experience that I’m looking for as well as the availability and interest from my travel partner to travel to the chosen destination. Our How to choose a tour operator and group tour post will help you find the right match for you. With thousands of tour operators and tour itineraries currently available, there will be an organised tour that suits you. Happy and safe travels no matter how you choose to travel.